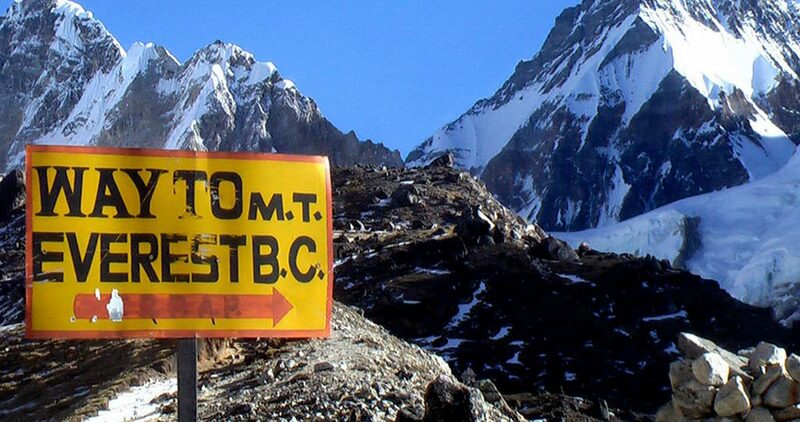 Everest Base Camp Trek is absolutely one of the most enthralling destinations for trekking. 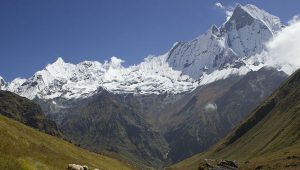 It is among the most popular trekking route in Nepal. The number of trekkers to this camp increase every year. The trek provides you with the experience of the rural lifestyle and the amazing Himalayan terrains. 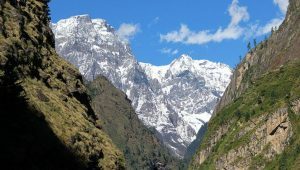 The Everest Base Camp Trek route is remote but it is often filled with trekkers and mountaineers. So, the trek won’t be a problem for solo trekkers too. In fact, Everest Base Camp does get a bit crowded in peak seasons, autumn and spring. With proper physical and mental strength you can go on this trek any time of the year. But you must be very careful on what to pack before you set off for the trek. Availability of basic necessities along the trail is what keeps you moving happy and healthy. The trekking journey of Everest Base Camp Trek starts after a short flight to Lukla. The scenic flight that gives you the views of different mountain ranges is of only 30 to 40 minutes. Your trek on foot starts from Lukla which is 2860m high from the sea level. The trekking trail is challenging and adventurous. Each day you will hike for 5 to 6 hours. 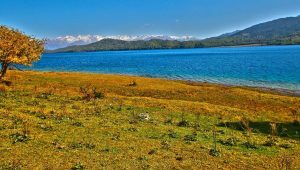 The astonishing and magnificent views of the snow-capped mountain scenery and spectacular glacier lakes are one of the best parts of this trek. The Everest region is inhabited by the Sherpa people who are known for their unique culture and lifestyle. Graceful views of the highest mountain ranges such as Mount Everest, Mount Choyu, Mount Ama Dablam, etc. What to Pack for Everest Base Camp Trek? The Everest Base Camp Trekking trail starts from the altitude of 2860m (Lukla) and takes you to the altitude of 5643m (Kala Patthar). 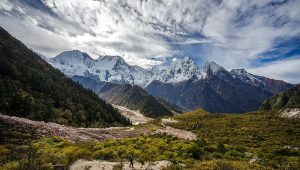 It is a high-altitude trekking trail and the temperature, atmospheric pressure and weather condition changes drastically. You will need to take good care of yourself as you ascend up. You can start your preparation by getting your packing list ready. Note that if you are taking Mount Everest Base Camp Helicopter Tour, then your packing list will be different and much lighter. Important medicines such as anti-diarrhea pills, anti-headache pills, cough and cold medicine, Anti-altitude sickness pills and stomach antibiotic. Weather at Everest Base Camp is uncertain. As the climate changes in every hour. The higher altitudes are definitely colder in compared to the lower altitudes. 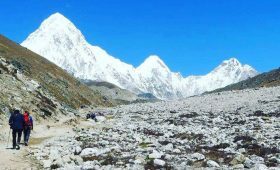 Spring and autumn season are the best seasons for the Everest Base Camp Trek. 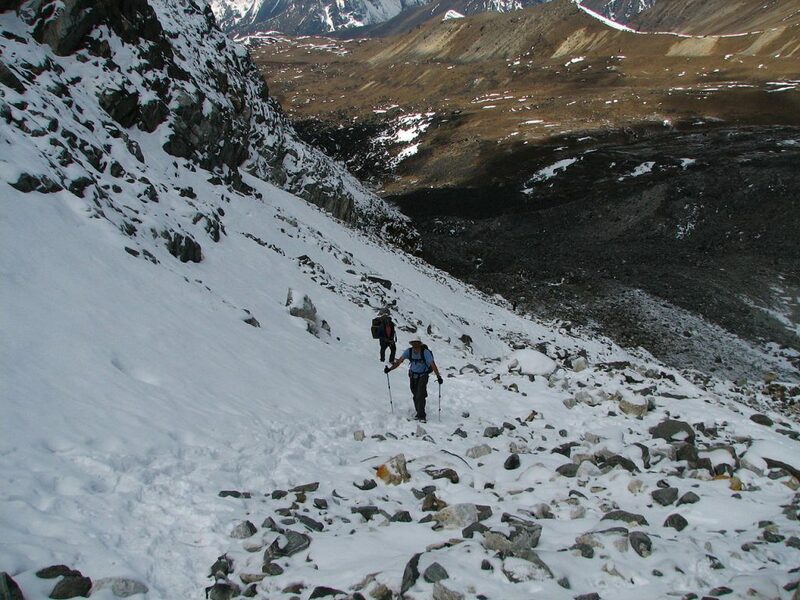 Winter and summer seasons are secondary choices to trek to the Everest region. But your body type is the key factor that determines which weather is best for you. Other than that, proper planning and a solid packing list will add into making the trek your best experience. Winter is extremely cold at the Everest Base Camp. Most of the trail is completely covered in snow, making EBC trek in winter challenging and adventurous. But, the season offers you some of the best views of the Himalayas. If you are looking to trek to the EBC in winter, get planning. Most of the tea houses and lodges will be closed at the higher regions. But the very few that remain open will provide you the best hospitality and services. Proper gear and equipment will add into making your trek a lot easier. In Nepal, the months June-August is summer or monsoon. Muddy and slippery trail, insects and bugs are the only drawbacks of this season. Considering some key items to slip into your backpack, summer trek can be an exciting one. Plastic bags to cover your clothes, important documents, cameras, and batteries. 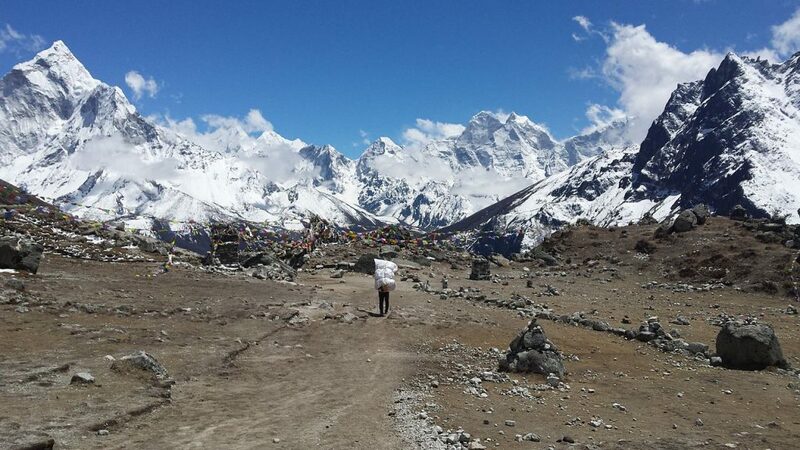 Spring season is perfect for trekking to the Everest Base Camp. Weather is calm and the temperature is just right. March-May is spring in Nepal. There is actually nothing weather specific that you will need this season but carrying rain gear and insect repellent will most probably be useful. 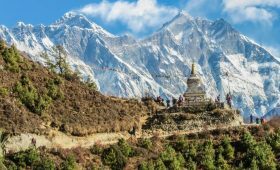 Autumn is another perfect season for trekking to the Everest Base Camp. The weather is perfectly clear. September-November is Autumn in Nepal. The possibility of rainfall and storms during this season is quite rare. But it’s better to be prepared because the weather in the Himalayas is unpredictable. You need not bother with extra items to carry, just be sure you have a great camera and extra batteries. And it is a great time to sleep outdoors, carrying a lightweight tent would be a great idea. Avoid unnecessary items from your packing lists such as jewelry, laptop, Make-up box, hair dryers, hair straightener, or perfume. Pack the lightweight clothing, and carry small packs of the shampoo, hand wash, and creams to maintain the weight of your backpack. Use plastic bags to prevent your documents, clothes and important items from moisture during the trek. Take some extra batteries for your cameras to avoid battery low problem. Dress in layers. It will help your body to retain heat and keep you warm. 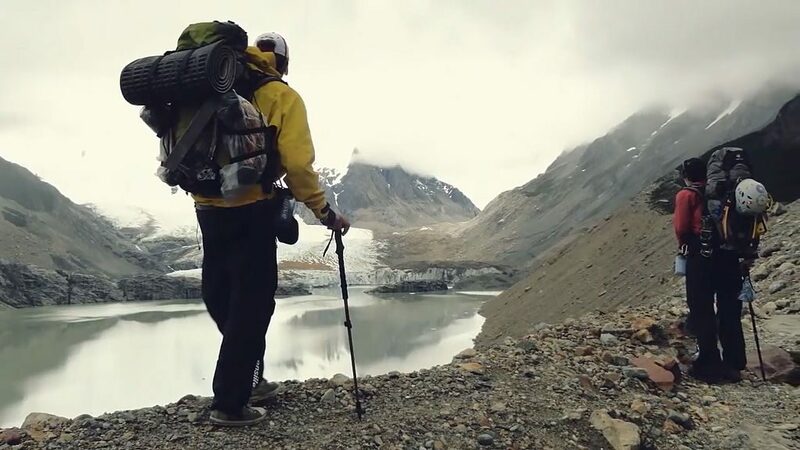 Carry trekking poles with you. It will help you in ascending up as well as descending down the trekking trails. When you pre-plan, it is always easier to pack wise. Pack clothes to suit your body. If you catch a cold pretty soon, you should pack in some warm clothes even if you are planning to trek in summer. But avoiding unnecessary items, extra weight will only drain you. Weather is unstable in the mountains, you need to pack possible weather gears to avoid any hassles. 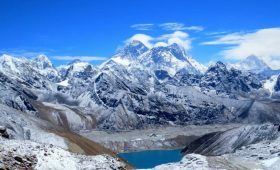 Everest Base Camp trek takes you to the altitude of about 5500m altitude, you will be tackling the environment at that altitude. So, prepare and pack well, it will go a long way. But be sure not to over-pack.